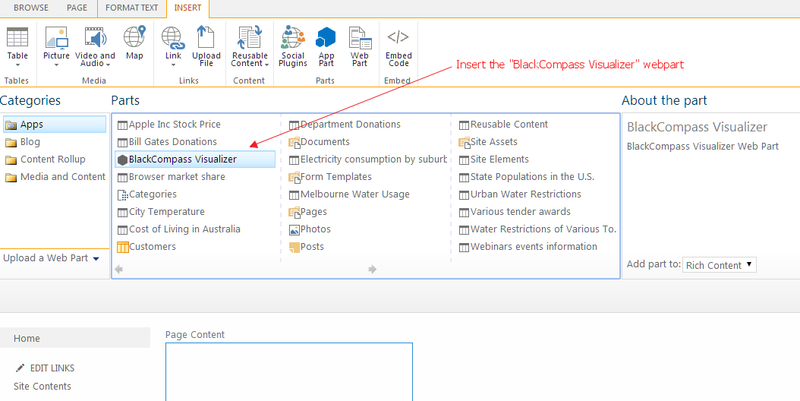 To build a SharePoint dashboard, with different types of graphs on the same page, you can use the BlackCompass Visualizer Web Part Pack. You can display graphs from another site collection or even another SharePoint farm. 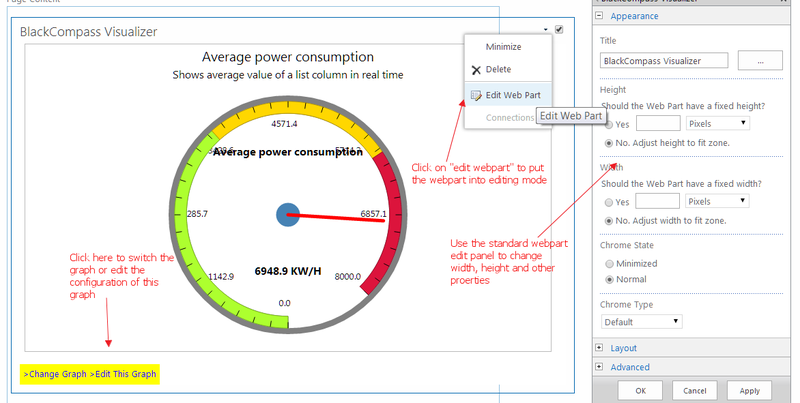 Follow these steps to place a graph as a webpart on a SharePoint page. You must first create a graph, the web part pack can only display already saved or published graphs. So, please first create a graph.